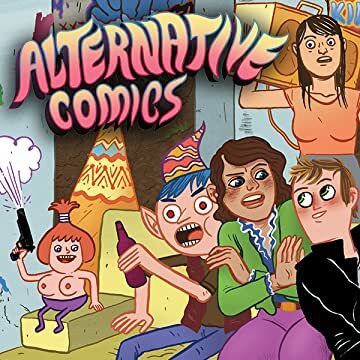 Alternative Comics' flagship anthology returns as a twice-yearly comic with more pages-showcasing the best indie, web and zine artists of today's underground. Cover art by Mike Bertino (Trigger). Comics by Theo Ellsworth (The Understanding Monster) & Craig Thompson (Blankets, Habibi), Sam Alden (Eighth Grade), James Kochalka (SuperF*ckers), Sam Henderson (Magic Whistle), Noah Van Sciver (The Hypo), Grant Snider (Incidental Comics), Alex Schubert (Blobby Boys), Andy Ristaino (Adventure Time), and Allison Cole (Never Ending Summer). 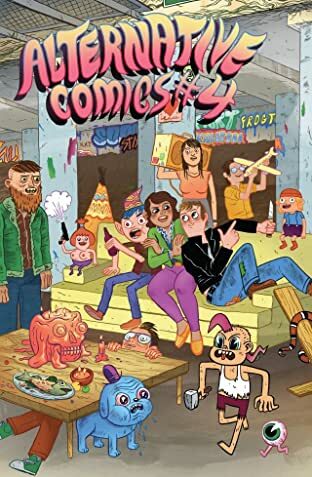 Inkstuds interview with and comics by David Lasky (Don't Forget This Song).